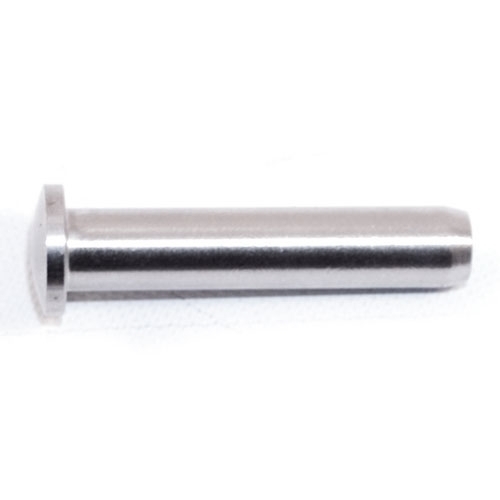 This INOX Accessory has a 15/64" diameter and features a 11/32" hole diameter. Stainless Steel Stopper for Wire Rope 13/64" to 15/64" Stainless Steel Terminal for Stud M6 (Left) Stainless Steel Sloping Washer for 1 2/3" Dia. Tube, Hole 1/3" Dia. Stainless Steel External Support, for Tube 1 1/3" Dia., Hole 17/64" Dia. Stainless Steel Rounded Head Screw M6 Stainless Steel Sloping Washer for Threaded Terminals for Square Tube Stainless Steel Dowel Screw with Thread Stainless Steel Threaded Terminal (Right) for Rope 15/64" Dia.